Amazon has released a new behind the scenes featurette entitled “Authenticity” for its upcoming series Tom Clancy’s Jack Ryan, featuring an extensive look at the lengths the production traversed in order to make the show as realistic as possible, right down to the types of phones and computers the characters use. Tom Clancy’s Jack Ryan is a reinvention with a modern sensibility of the famed and lauded Tom Clancy hero played by John Krasinski (A Quiet Place, 13 Hours). The creators of the series, Executive Producers Carlton Cuse (Lost, Bates Motel) and Graham Roland (Fringe, Prison Break), will continue to serve as co-showrunners. Additionally, Krasinski, who also serves as an executive producer, will be reunited with Wendell Pierce who will reprise his role as James Greer in the eight-episode second season. 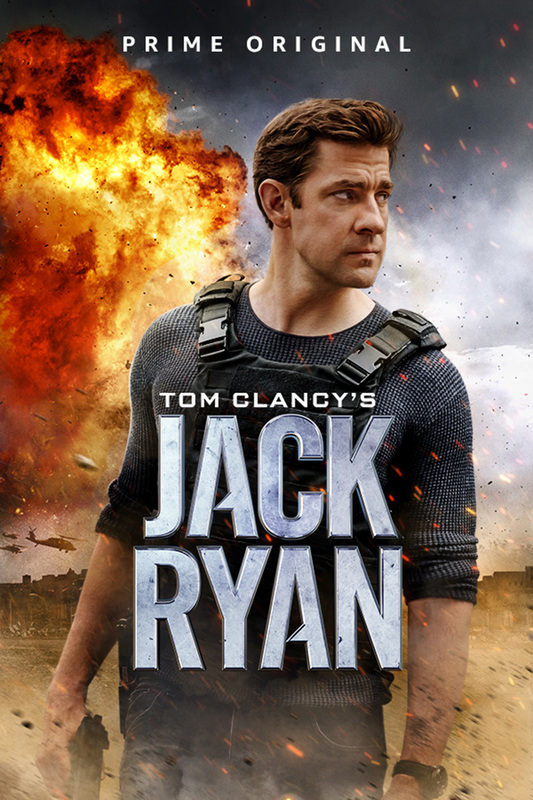 In the first season of Tom Clancy’s Jack Ryan, Krasinski’s Ryan is an up-and-coming CIA analyst thrust into a dangerous field assignment for the first time. The series follows the titular character as he uncovers a pattern in terrorist communication that launches him into the center of a dangerous gambit with a new breed of terrorism that threatens destruction on a global scale. The one-hour, eight-episode dramatic season also stars Wendell Pierce (The Wire) as James Greer and Abbie Cornish (Three Billboards Outside Ebbing, Missouri) as Cathy Mueller. The first season of Tom Clancy’s Jack Ryan will be released on August 31, with season two set to premiere in 2019. 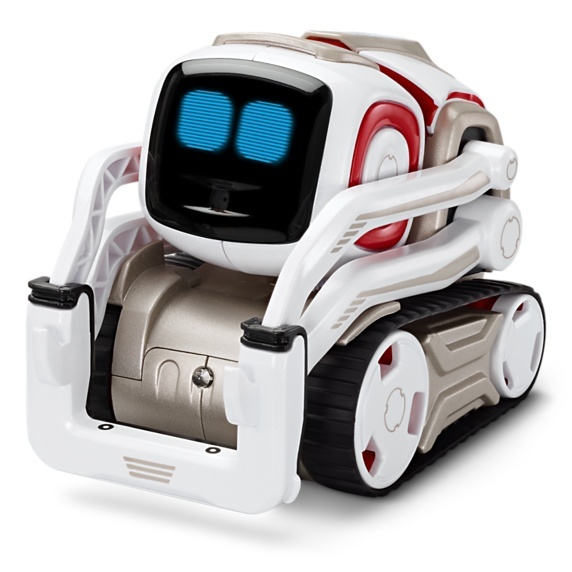 Amazon has revealed its list of the 100 most popular playthings set to take 2017’s holiday season by storm, with a continued focused on STEM items, pet-themed toys and blockbuster movie licenses. 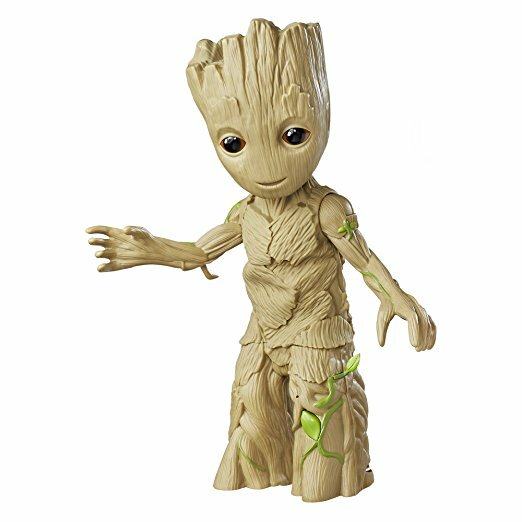 All products will be available through the online retailer’s website and by using Alexa-enabled devices. Amazon has unveiled a new version of its Echo speaker and Alexa intelligent assistant that has a touchscreen and video calling. The voice-controlled Echo Show has a tablet-style screen from which users can make video or audio calls, control smart home devices and shop online. It has been designed as “a new way to be together”, Amazon said, as it lets users “talk to family and friends who have an Echo or the Alexa App”. 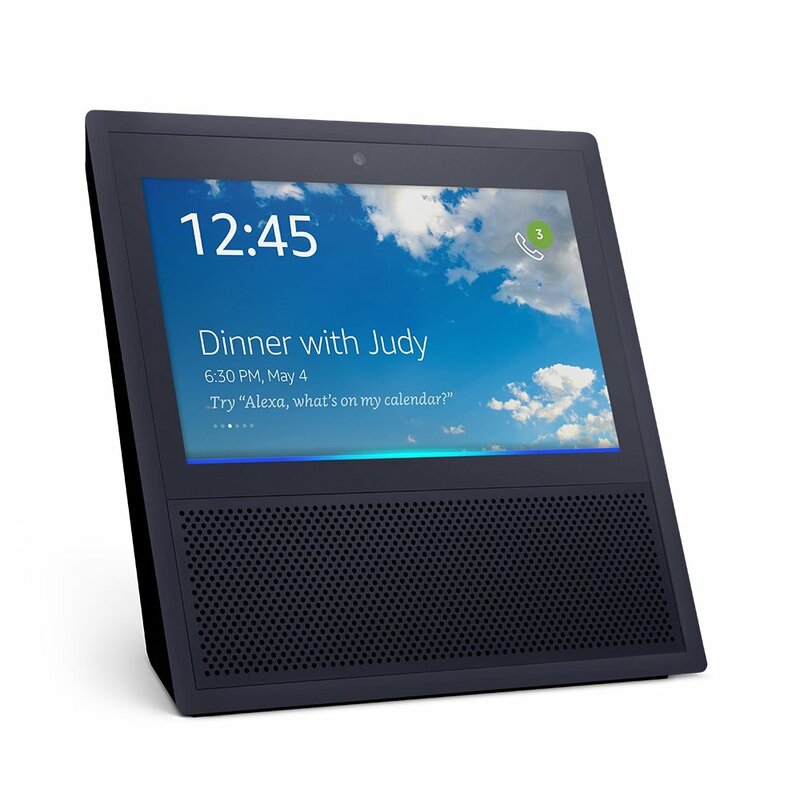 The Echo Show operates like the current Amazon Echo and Dot speakers, which use the Alexa virtual assistant to answer questions or perform voice-activated tasks. In addition to the speakers, it has a 7-inch touch screen, 5MP forward facing camera and Dolby speakers. It can make video calls to designated contacts, as well as playing content from YouTube and other apps. The calling feature lets users contact friends or family who have an Echo Show or the Alexa app on their phone by asking Alexa to “Drop In” on them. Video callers will initially only see a frosted glass picture, which turns into a full video call if accepted. The touchscreen also allows users to send text messages and make audio only calls to users of other Amazon Echo devices. Amazon suggested the Echo Show could also be used to replace security technology such as baby monitors and front door video cameras. 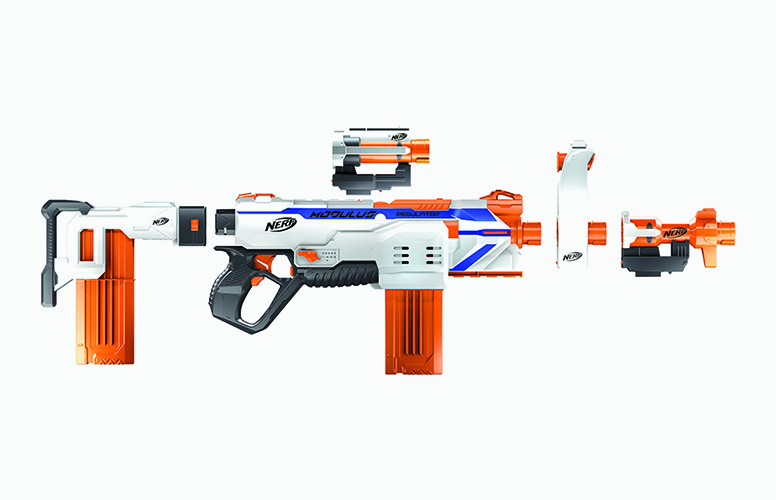 The Amazon Show will be available on June 28 and will go on sale for $229. – Echo Show brings you everything you love about Alexa, and now she can show you things. Watch video flash briefings and YouTube, see music lyrics, security cameras, photos, weather forecasts, to-do and shopping lists, and more. All hands-free—just ask. – Introducing a new way to be together. Make hands-free video calls to friends and family who have an Echo Show or the Alexa App, and make voice calls to anyone who has an Echo or Echo Dot. – See lyrics on-screen with Amazon Music. Just ask to play a song, artist or genre, and stream over Wi-Fi. Also, stream music on Pandora, Spotify, TuneIn, iHeartRadio, and more. – Ask Alexa to show you the front door or monitor the baby’s room with compatible cameras from Ring and Arlo. Turn on lights, control thermostats and more with WeMo, Philips Hue, ecobee, and other compatible smart home devices. Eight years ago, Amazon introduced Kindle, making it possible for the first time to think of any book and start reading it in seconds. Since then, Amazon has introduced new Kindle e-readers that are smaller, lighter, and faster—all on a mission to make the device disappear so you can lose yourself in an author’s story. Today, Amazon took another step toward this mission: introducing Kindle Oasis—the eighth generation of Kindle—crafted from the ground up for readers, with an all-new, incredibly thin and light design, plus an included charging cover that delivers months of battery life. Kindle Oasis is available for pre-order today for $289.99 and will start shipping in the coming weeks. The new Kindle Oasis is unlike any Kindle you’ve ever held. With an incredibly thin display and an ergonomic grip, Kindle Oasis weighs just 4.6 ounces and is just 3.4 mm at its thinnest point—30% thinner on average and over 20% lighter than any other Kindle. To achieve this, Kindle Oasis has a featherweight polymer frame that is plated with metal by structural electroplating—this makes the device incredibly light while ensuring it has the strength and rigidity of metal so it is resilient enough to take anywhere you want to read. 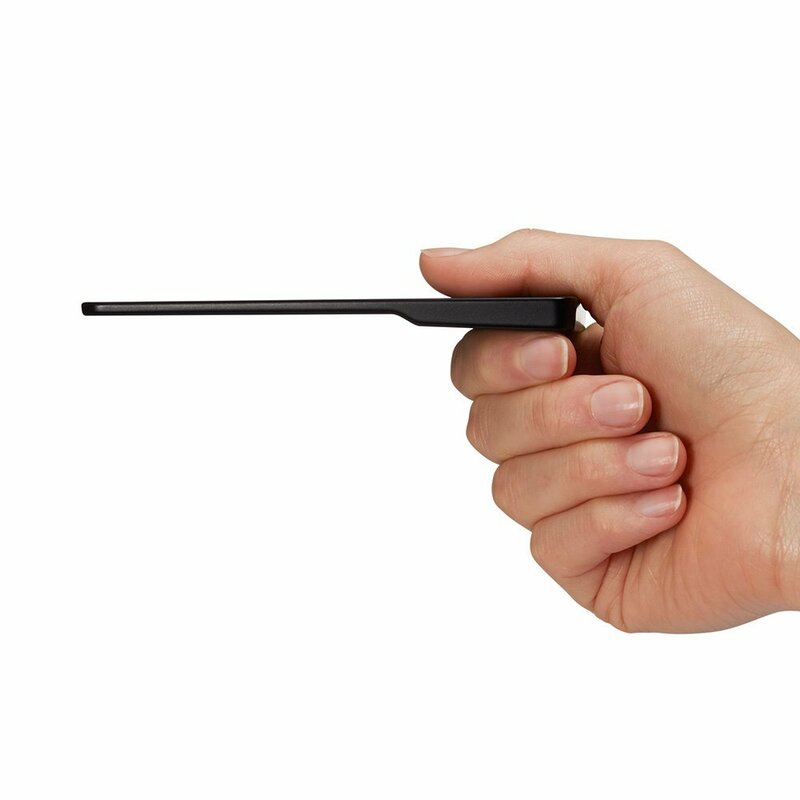 Kindle Oasis is designed for extended reading sessions—with an entirely reimagined shape, Kindle Oasis shifts the center of gravity to your palm, to rest in your hand like the spine of a book so that the device feels balanced for one-handed reading. 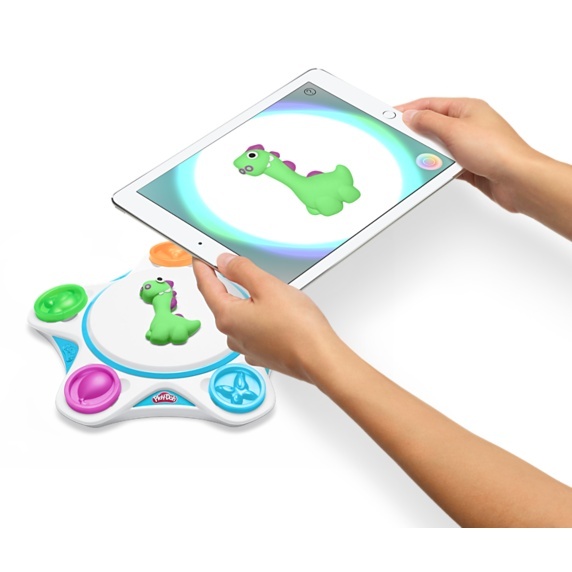 Effortlessly turn the page with either the touch display or physical buttons. Oasis is comfortable to read on with either hand—a built-in accelerometer detects whether you are reading with your left or right hand, and automatically rotates the page and page turn buttons to match. As soon as you connect the cover to Kindle Oasis, the battery in the cover begins recharging Kindle Oasis automatically. 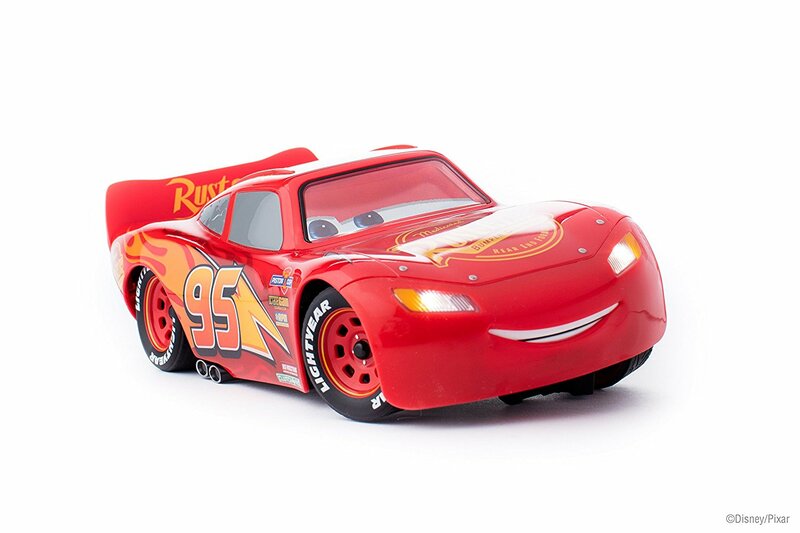 The battery in the cover uses a custom cell architecture that optimizes power and energy while keeping an incredibly small and light form factor and delivering months of battery life. You can charge the device and cover simultaneously while both are snapped together and plugged in. Plus, a new hibernation mode minimizes power consumption when your Kindle is inactive. Amazon got its start as an online bookseller, and now — over 20 years later — it’s decided to sell books the old-fashioned way. 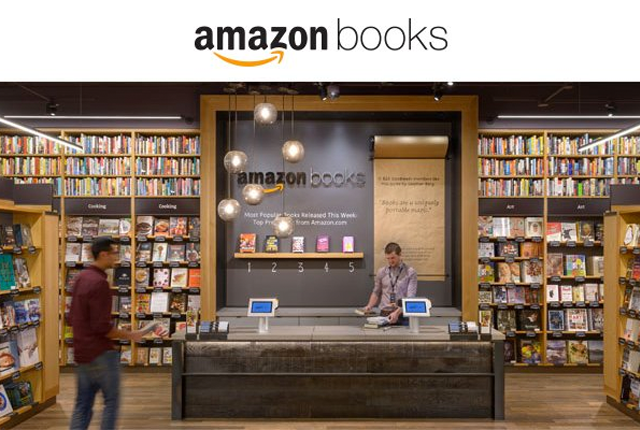 On Tuesday, Amazon will open a store in Seattle called Amazon Books. 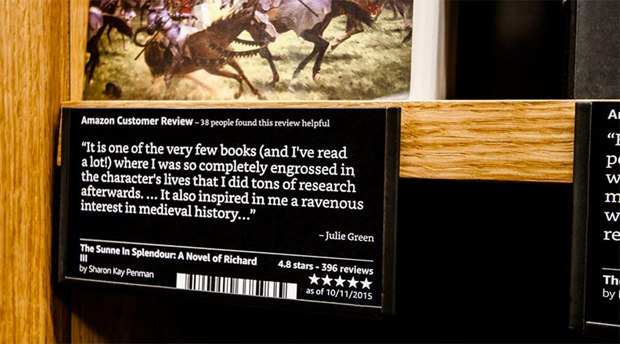 Not only is it one of Amazon’s first physical locations, but it’s also Amazon’s first physical bookstore. 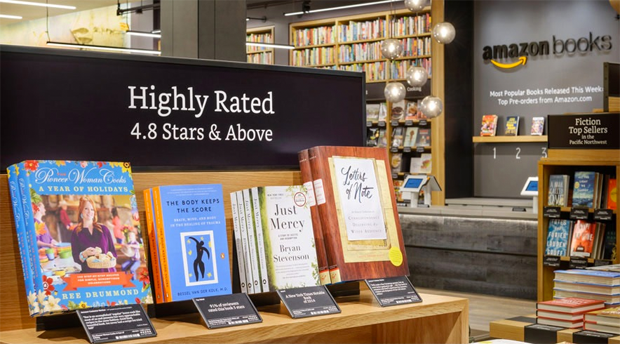 Amazon says that it won’t entirely be doing things like a traditional store, however; it’ll be relying on Amazon.com data — including customer ratings, sales totals, and Goodread’s popularity — to decide which books to stock. Curators will have some say, too. 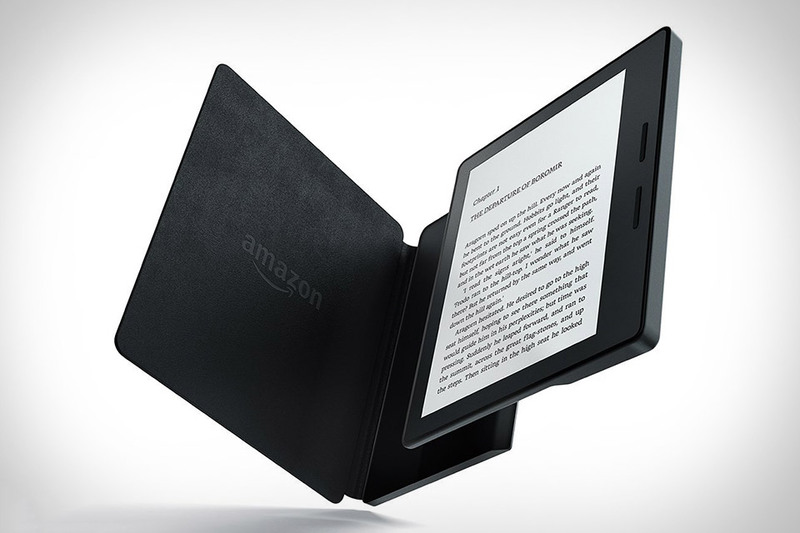 In addition to selling books, Amazon is also going to be putting its devices on display. Visitors will be able to try Kindles, the Echo, the Fire TV, and Fire Tablets. The store is located in Seattle’s University Village and will be open seven days a week, except for holidays. Amazon says that this is a permanent location — not just a pop-up shop. 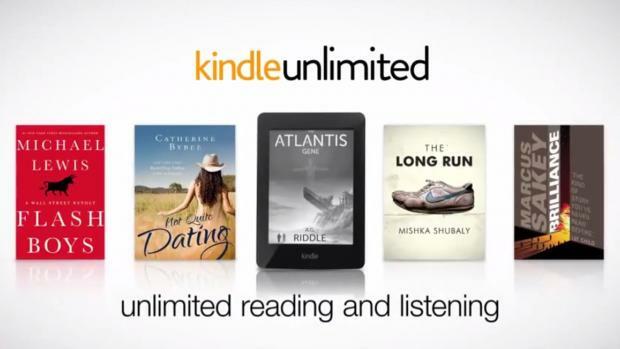 Amazon.com today introduced Kindle Unlimited—a new subscription service which allows customers to freely read as much as they want from over 600,000 Kindle books, and listen as much as they want to thousands of Audible audiobooks, all for only $9.99 a month. Finding a great book is easy, and there are never any due dates—just look for the Kindle Unlimited logo on eligible titles and click “Read for Free.” Customers can choose from best sellers like The Hunger Games, Diary of a Wimpy Kid, and The Lord of the Rings, and with thousands of professionally narrated audiobooks from Audible, like The Handmaid’s Tale and Water for Elephants, the story can continue in the car or on the go. Kindle Unlimited subscribers also get the additional benefit of a complimentary three-month Audible membership, with access to the full selection of Audible titles. Kindle Unlimited is available starting today and is accessible from Kindle devices or with Amazon’s free Kindle reading apps. 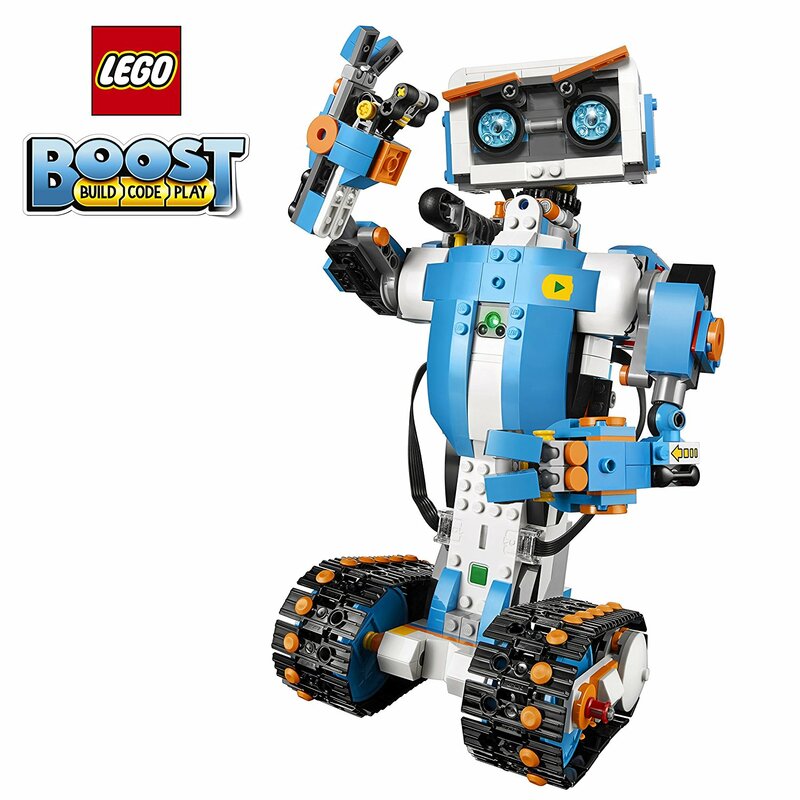 Start your free 30-day trial today at www.amazon.com/ku-freetrial. Unlimited reading: Access over 600,000 books including best sellers like The Lord of the Rings trilogy, the Harry Potter series, Diary of a Wimpy Kid books, Flash Boys: A Wall Street Revolt, Water for Elephants, Oh Myyy! – There Goes The Internet, The 7 Habits of Highly Effective People, All the King’s Men, Wonder Boys, Ask for It, The Princess Bride, The 5 Love Languages: The Secret to Love that Lasts, The Atlantis Gene, Kitchen Confidential, The Sisterhood, Crazy Little Thing, The Blind Side, and The Giver,plus thousands of classics such as Animal Farm, To the Lighthouse, 2001: A Space Odyssey, Cat’s Cradle,and The Good Earth,as well as books featuring beloved children’s characters from Sesame Street, and useful reference titles including books from the For Dummies series and Lonely Planet travel guides. Unlimited listening: Keep the story going with unlimited access to more than 2,000 audiobooks from Audible with Whispersync for Voice, and switch seamlessly between reading and listening to customer favorites like the Hunger Games trilogy, Life of Pi, The Handmaid’s Tale, Capital in the Twenty-First Century, The Great Santini, The Man Who Mistook His Wife for a Hat, Winter’s Tale, Boardwalk Empire, El Narco, Upstairs at the White House: My Life with the First Ladies, Merle’s Door: Lessons from a Freethinking Dog, The Finisher, Johnny Carson, The Stranger I Married,and Life Code. Kindle exclusives: Choose from hundreds of thousands of books only found on Kindle, including Brilliance by Marcus Sakey, The Hangman’s Daughter series by Oliver Pötzsch, War Brides by Helen Bryan,Ed McBain’s 87th Precinct and Matthew Hope books, When I Found You by Catherine Ryan Hyde, Whiskey Sour by J.A. Konrath, Chasing Shadows by CJ Lyons, and Sick by Brett Battles. Short Reads: For a quick escape, select from thousands of books that are 100 pages or less, including Kindle Singles from Stephen King, Andy Borowitz, and Nelson DeMille, and short fiction from Amazon Publishing’s StoryFront imprint. Free three-month Audible membership: In addition to the thousands of professionally narrated audiobooks from Audible included in Kindle Unlimited, subscribers get a complimentary three-month Audible membership, with access to more than 150,000 titles. Popular Kindle features: Enjoy all the great Kindle features customers love such as Whispersync, Popular Highlights, X-Ray, customer reviews, and Goodreads integration. Read and listen everywhere: Access across Kindle devices and free Kindle reading apps for iPhone, iPad, Android tablets and phones, Windows Phone, BlackBerry, PC, Mac and Windows 8—so you always have your library with you and never lose your place. For more details on Kindle Unlimited, visit www.amazon.com/kindleunlimited. 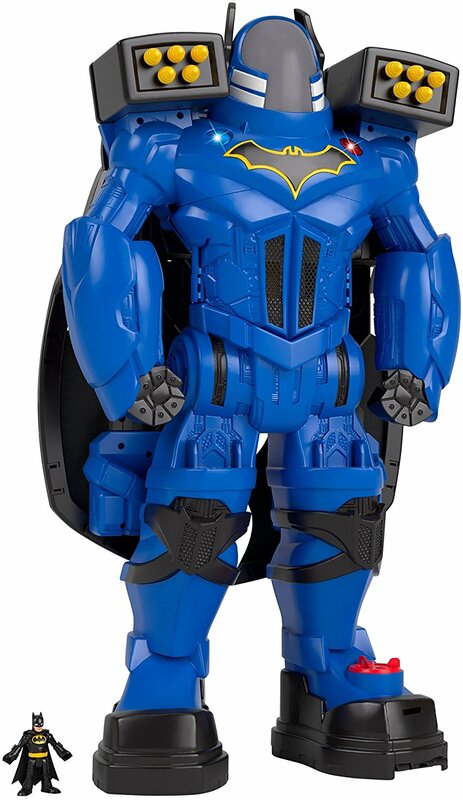 Amazon.com today announced that it has reached an agreement to acquire comiXology, the company that revolutionized the digital comics reading experience with their immersive Guided View technology and makes discovering, buying, and reading comic books and graphic novels easier and more fun than ever before. Founded in 2007, comiXology offers a broad library of digital comic book content from over 75 of the top publishers as well as top independent creators. Following the acquisition, comiXology’s headquarters will remain in New York. Terms of the acquisition were not disclosed. Subject to various closing conditions, the acquisition is expected to close in the second quarter of 2014. 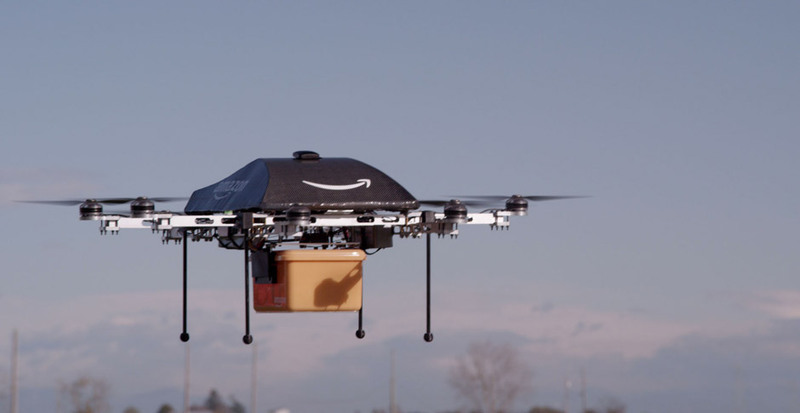 The goal of this new delivery system called Prime Air is to get packages into customers’ hands in 30 minutes or less using unmanned aerial vehicles. The airborne robots will be capable of delivering packages up to five pounds (86 percent of orders are apparently less than that) with a range of 10 miles. 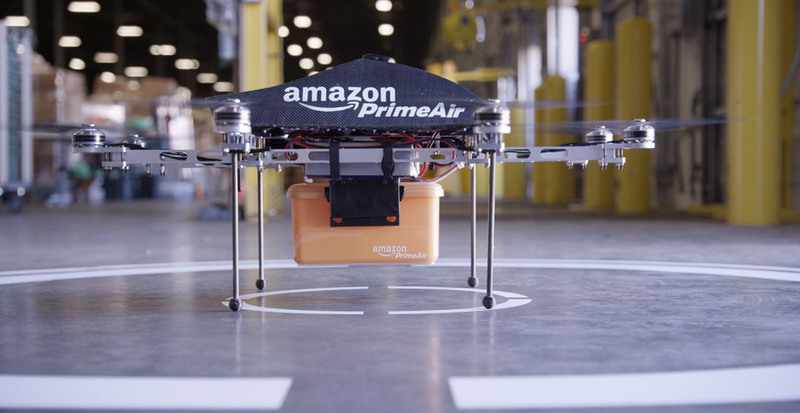 As Amazon puts it, “Putting Prime Air into commercial use will take some number of years as we advance the technology and wait for the necessary FAA rules and regulations” and Bezos himself added in the TV segment that it won’t be before 2015 at the very earliest. Amazon today introduced Kindle MatchBook, a new benefit that gives customers the option to buy—for $2.99, $1.99, $0.99, or free—the Kindle edition of print books they have purchased new from Amazon. Print purchases all the way back to 1995—when Amazon first opened its online bookstore—will qualify once a publisher enrolls a title in Kindle MatchBook. 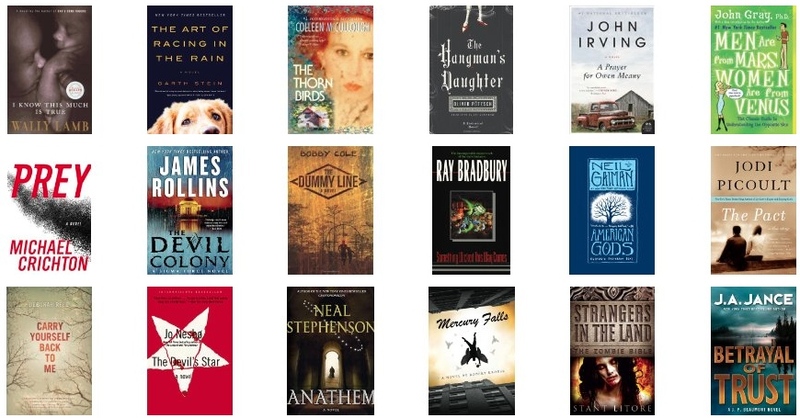 Over 10,000 books will already be available when Kindle MatchBook launches on October 30, 2013, including best sellers like I Know This Much Is True by Wally Lamb, The Art of Racing in the Rain by Garth Stein, The Thorn Birds by Colleen McCullough, A Prayer for Owen Meany by John Irving and The Hangman’s Daughter by Oliver Pötzsch, with many more titles to be added over time. Customers can learn more by visiting www.amazon.com/kindlematchbook. – Kindle editions at a great price: Amazon customers who purchase or have purchased qualifying print books can get the Kindle edition for prices that are typically $2.99, $1.99, $0.99, or free. 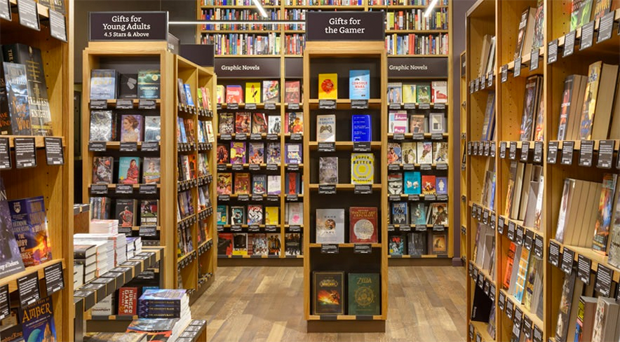 – For book purchases dating back to 1995: Print purchases all the way back to 1995—when Amazon first opened its online bookstore—will qualify once a publisher enrolls a title in Kindle MatchBook. – Easy discovery: Readers can easily look up their entire print book order history to discover which of their past purchases are enrolled in Kindle MatchBook. 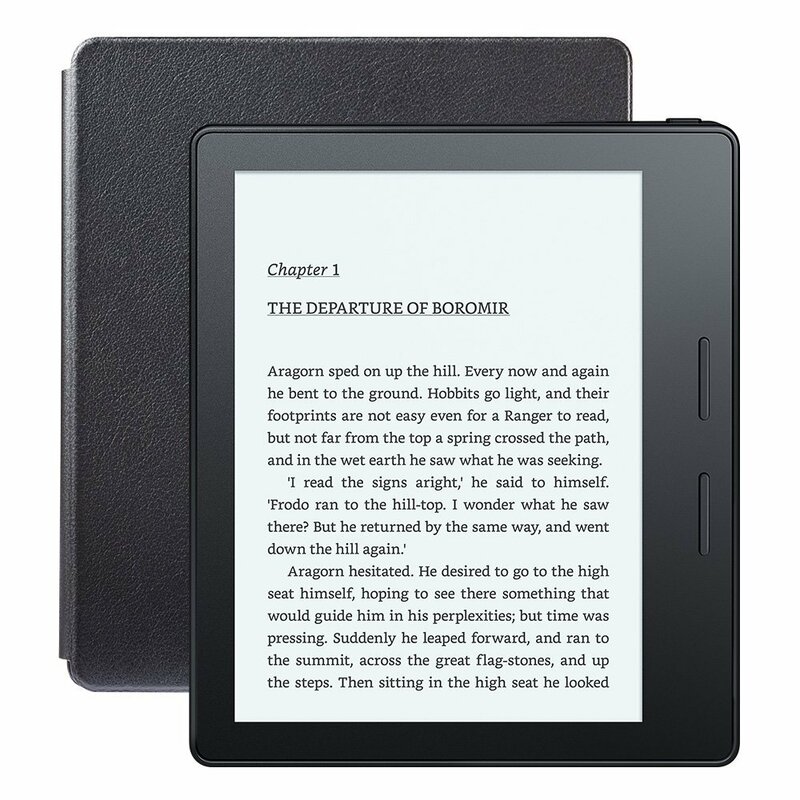 – Popular Kindle-only features: As with regular purchases, Kindle MatchBook titles have unique features such as Whispersync, Popular Highlights, and X-Ray. – Read anywhere capabilities: In addition to Amazon’s best-selling Kindle devices, customers can download a free Kindle reading app for iPhone, iPad, Android tablets and phones, PC or Mac and start building their Kindle library today. Kindle MatchBook will launch with books from Ray Bradbury, Michael Crichton, Blake Crouch, James Rollins, Jodi Picoult, Neil Gaiman, Marcus Sakey, Wally Lamb, Jo Nesbo, Neal Stephenson, and J.A. Jance, among others. In addition, Amazon Publishing will include all its titles in Kindle MatchBook. Authors and publishers using Kindle Direct Publishing can enroll their books in the program today by visiting http://kdp.amazon.com.